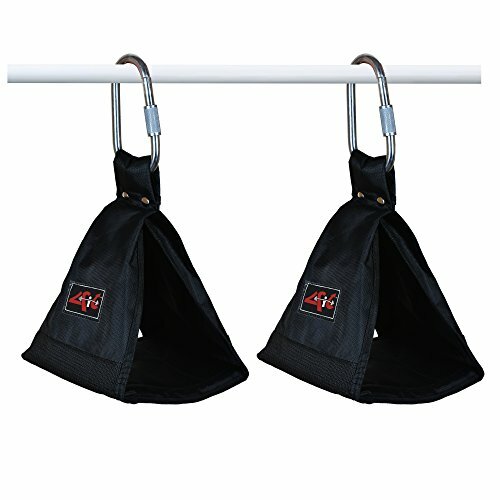 The 4fit Hanging Ab Sling is made from heavy duty nylon supports with padded elbow sleevepockets and an oversized D-ring that fits most bars and machines. The Hanging Ab Sling isolates abs for total abdominal development. It easily attaches to any standard chin-up bar and includes metal hooks for quick installation. Plus, the thick inner pad provides enhanced comfort, Go beyond the basic crunch and take your Ab workout to the next level. Vertical abdominal training allows you to maximize your efforts by using your body's own resistance. If you have any questions about this product by 4Fit Inc, contact us by completing and submitting the form below. If you are looking for a specif part number, please include it with your message.